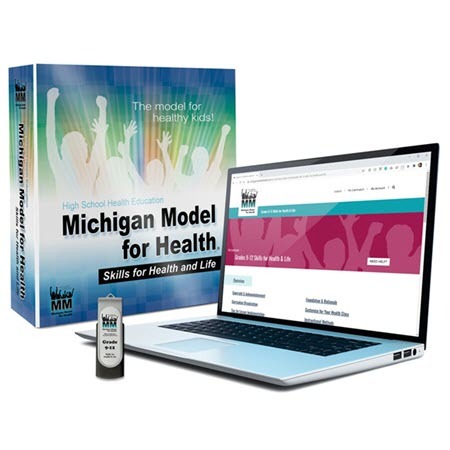 Skills for Health and Life - Michigan Model for Health. This comprehensive high school health curriculum contains 69 lessons and is designed to be taught as a semester course on health. There are seven units of instruction: Skills: A Strong Foundation (19 lessons), Social and Emotional Health (10 lessons), Nutrition and Physical Activity (10 lessons), Safety (10 lessons), Alcohol, Tobacco, and Other Drugs (10 lessons), Personal Health and Wellness (8 lessons) and Summary (2 lessons). A Teacher Resource Flash Drive is included. Support materials purchased separately.